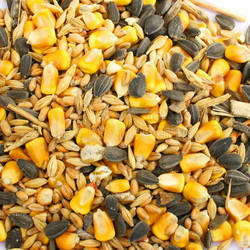 Our organization is engaged in manufacturing, supplying and exporting Bird Feed. The range available with us includes Chick Feed, Bird Grower Feed, Laying Bird Feed, Breeder Bird Feed and other such Bird Feed Supplements. Known for providing vital nutrients to birds, our range is hygienically processed as per the international quality standards. In order to maintain the shelf life of the product, we pack this using moisture-proof packaging material. With years of experience in the respective domain, we are engaged in manufacturing, supplying and exporting finely grinded range of Flamingo Feed. Processed in compliance with international quality standards, our range is acknowledged for its ability to improve the health of birds without any side-effects. 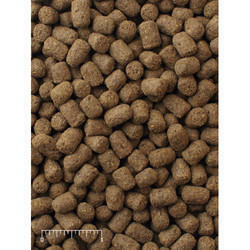 Our feed provides all essential nutrients and acts an excellent alternative for other food. We put forth finest quality Bird Breeder Feed to our clients which is widely acclaimed for its optimum quality and 100% vegetarian nature. Being total vegetarian feed products which protect from micro-organism contamination, this range can be stored for a longer period of time. It also ensures high livability and health. Our professionals thoroughly check the entire product range as per set quality standards and pack them in safe packages before dispatching at the clients’ end. 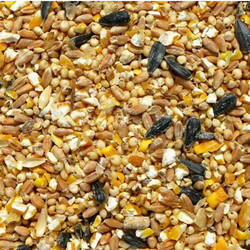 We are one of the well-known manufacturers, suppliers and exporters of hygienically processed range of Small Bird Feed. Our range provides vital nutrients small birds, keeping them healthy. The feed is hygienically processed using quality ingredients in tandem with the food grade standard set by the industry. Due care is taken to pack the orders using moisture proof packaging material. 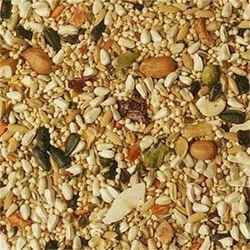 We offer our clients Game Bird Feed in bulk quantity as per the demands of our clients. Our range is processed in strict tandem with the international quality standards using ingredients like cereal, grains, pulses, soy meal, essential amino acids, vitamins, minerals with micotoxin, aflatoxin and mold binders. The products are tested before the packaging and are delivered at client’s premises on time.